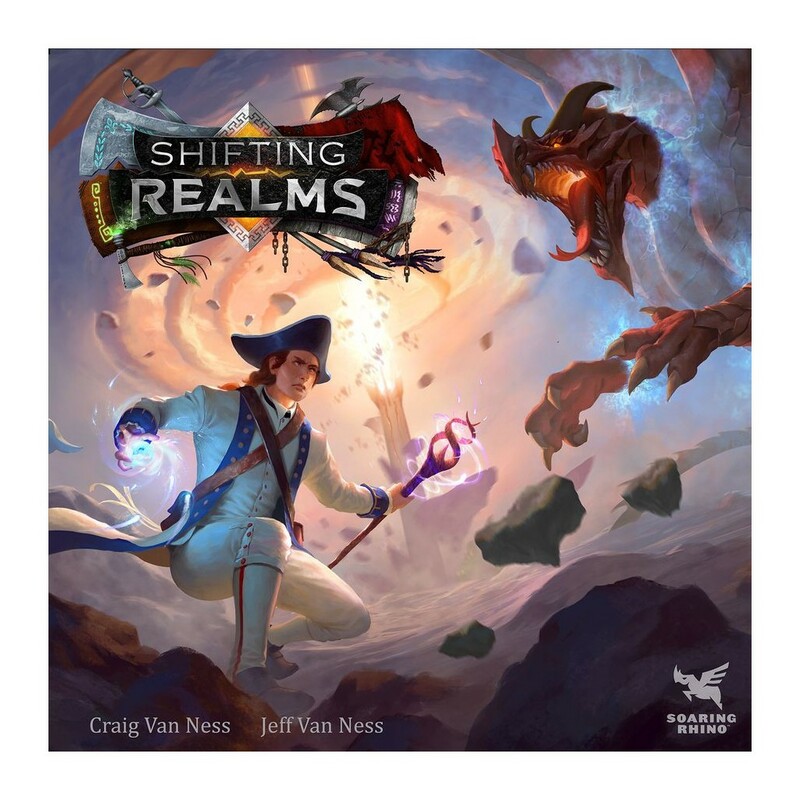 Shifting Realms is a game of colliding worlds that introduces the Realm Engine. 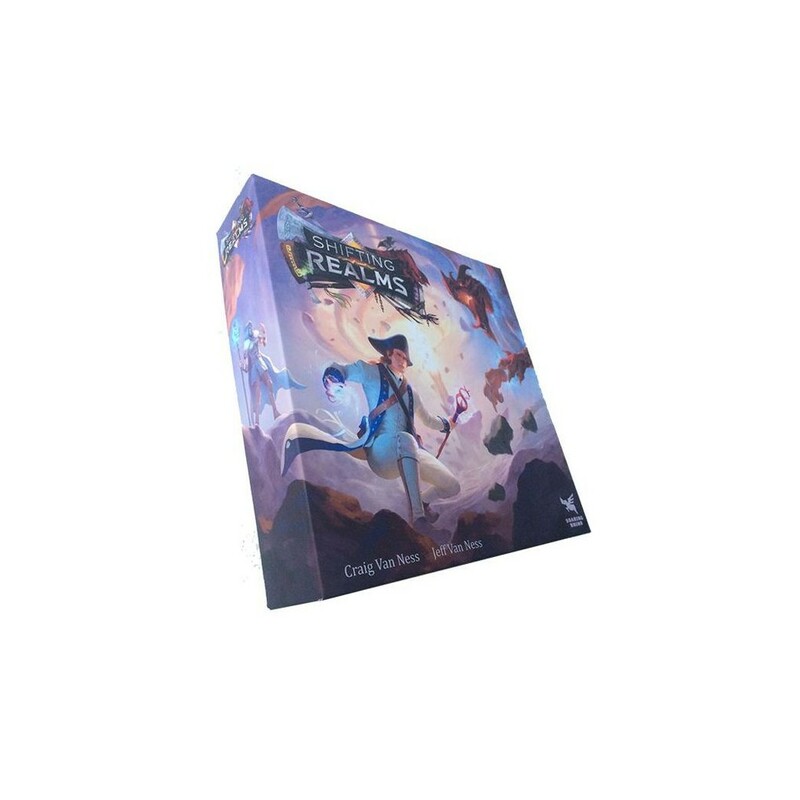 Shifting Realms is a game of colliding worlds that introduces the Realm Engine. Players must balance game play over three randomly selected worlds each with its own end condition. Once two out of the three worlds’ end conditions are met the game ends.